Martial arts and fitness training expert, Julien Greaux, has more than 20 years experience practicing, and competing in the fighting arts. 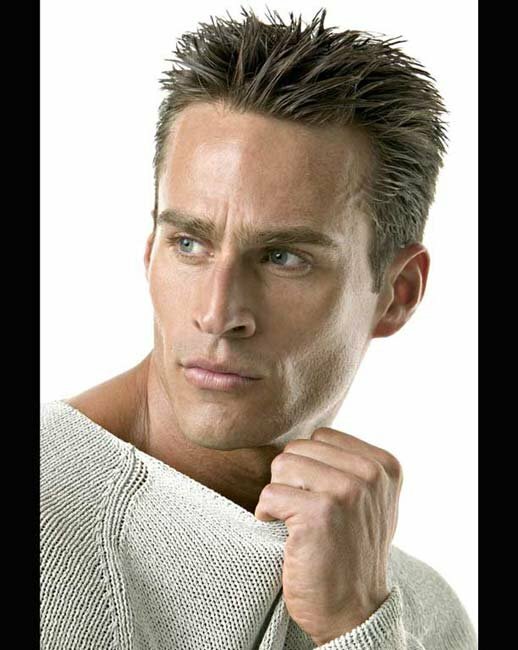 He now offers his considerable talents to the wider health and fitness community, through his partnership with fellow fitness professional Jamo Nezzar, on the cutting-edge training site, jamcoretraining.com. 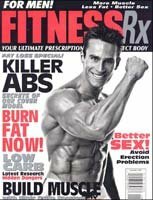 Julien, who has for many years, worked in the fitness industry, and due to the marketability of his physique, has been featured on the cover of more than 20 magazines and developed a reputation as someone who is consistently in shape. Further, Julien&apos;s professional manner and advanced knowledge base has advantageously enabled him to achieve stunning results as a trainer. These combined factors made him the obvious choice for Fitness/Mixed Martial Arts director at jamcore training. 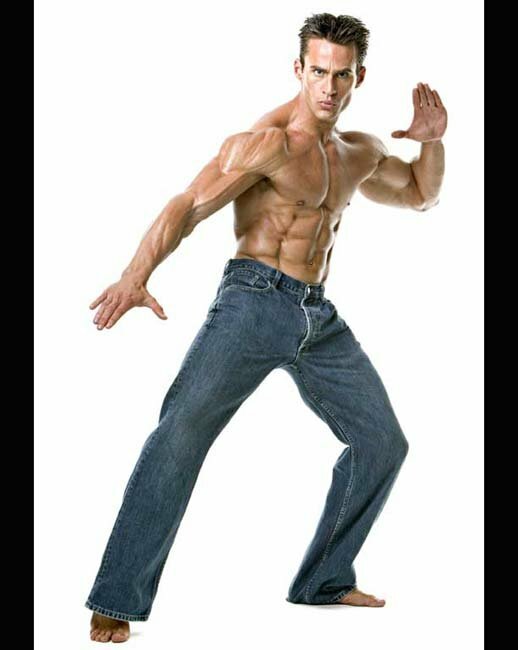 Having arrived in America in 2002, from his native St. Barth&apos;s in the French West Indies, Julien, 29, quickly began promoting his martial arts and fitness modeling skills. Julien&apos;s big break came when he was discovered by photographer Irvin Gelb, who eventually introduced him to Weider Publications - the rise has since been meteoric. Now Julien aims to revolutionize the martial arts industry through the passion he has for all the fighting disciplines, combined with his MMA (Mixed Martial Arts) camp concept, which, through expert instruction from some of the world&apos;s greatest exponents, teaches its students how to integrate the various arts to become a physically and mentally superior athlete. Along the way, Julien would like to discredit the perception that the martial arts serve as a breeding ground for violent thugs. "There are great potential benefits for everyone through the incorporation of mixed martial arts as an adjunct to their regular training programs," says Julien. "Now I&apos;m focusing on how I can promote the sport, so that people who have been resistant to martial arts can understand my passion for it, and hopefully be willing to try it for themselves, rather than allow preconceived notions and stereotypes to inhibit them." 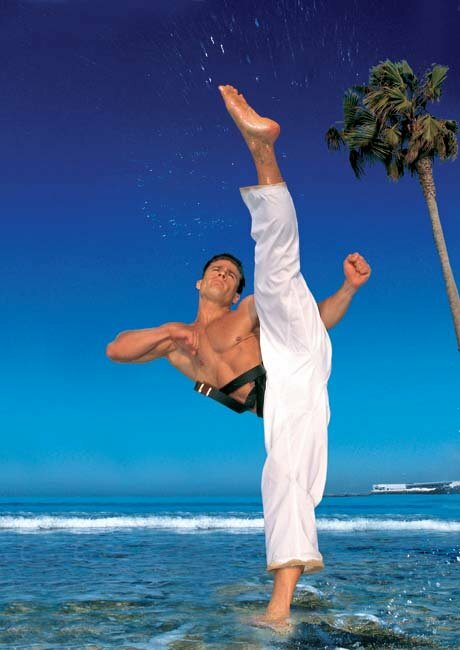 With experts like Julien leading the way, the martial arts are sure to gain momentum into the 21st century and beyond. [ Q ] Hi Julien. Provide some background on yourself. How did you get started in the fitness/martial arts industry? A: I&apos;m Julien Greaux, 29-years old, now living in California, but originally from St. Barth (French West Indies). I started studying martial arts with Karate at the age of nine. 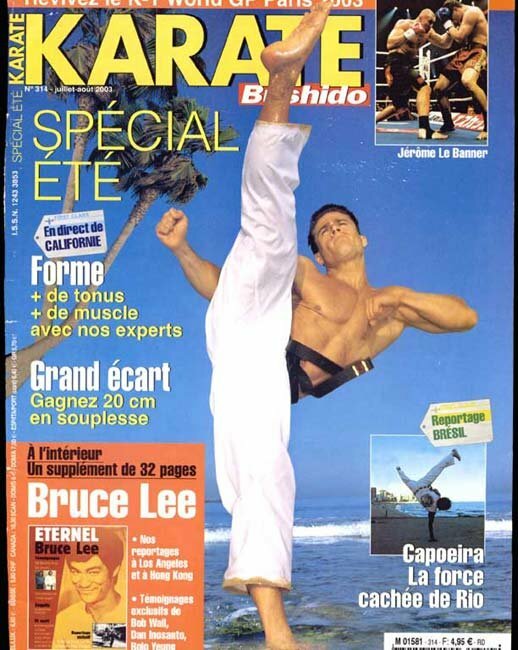 I began Karate because I was a very hyper kid and was fascinated by action movie stars, especially Bruce Lee and Jean Claude Van Damme. I Was Fascinated With Action Movie Stars. Since then, I&apos;ve been practicing many forms of martial arts during the past 20 years, including: Karate, Taekwondo, Thai Boxing, Judo and Jiu Jitsu. I started to weight train at 15. I came to the U.S. in 2002 and was working as a gardener in the Hamptons. I was just attending the Night Of Champions in New York and was discovered by photographer Irvin Gelb. [ Q ] How exactly were your discovered? A: I was watching the Night of the Champions contest in New York. I met photographer, Irvin Gelb, who gave me his card and told me I had great potential. I kept the card and three years later I decided to go to L.A. I called him and he introduced me to the people at Weider Publications. That&apos;s how everything started. Irvin Gelb Q&A: Ask An Expert Photographer! Get complete and accurate answers to any questions you may have about fitness and physique photography. The facts are right here! [ Q ] You say you are devoted to promoting mixed martial arts in a new light, to dispel the notion it is a primitive sport. What exactly do you mean by this, and how do you plan on doing this? A: The prevailing perception of mixed martial arts is that it&apos;s very violent and extremely dangerous. On a professional fighting level, yes, it can be dangerous. But mixed martial arts are not necessarily more dangerous than pro boxing or pro football. In professional sports of this nature, injuries can and will occur. I&apos;m more interested in promoting and publicizing the practice of mixed martial arts for fun, improved health and flexibility - all done without hurting yourself. I&apos;m currently organizing some big seminars, so people can learn about mixed martial arts and meet the champions. Once people see the real physical benefits, not necessarily the fighting/self defense aspects, they&apos;ll realize most pro athletes who are into mixed martial arts, are not necessarily violent BAD BOYS like everybody thinks. There are great potential benefits for everyone through the incorporation of mixed martial arts as an adjunct to their regular training programs. [ Q ] What direction do you see the martial arts, as a whole, heading in? Where does the future of martial arts lie, in your opinion? A: Mixed martial arts is growing very fast. It&apos;s definitely surpassed boxing. I&apos;m pretty sure it&apos;s going to be bigger than pro wrestling in popularity. [ Q ] Of all the martial arts, what ones do you consider to be the most effective? Is there one martial art that encapsulates all the right elements? A: I don&apos;t think there&apos;s one discipline that separates itself as better than others. You have to be complete if you want to be good at it. Train for standing and striking, ground fighting, and work on your endurance and conditioning. Each form of martial arts develops different aspects. Each Form Of Martial Arts Develops Different Aspects. [ Q ] What kind of influence does a good grounding in the martial arts have on a person&apos;s life? A: The impact is far reaching. But the immediate benefits are discipline, respect for yourself and others, and self-confidence. 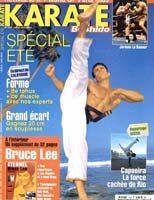 [ Q ] Are you still competing in martial arts today? What do you do to keep in shape? A: I don&apos;t compete anymore. But competition was never what drove me to pursue martial arts. I simply enjoyed the training, the learning process and the overall effects, both physically and mentally. Now I&apos;m focusing on how I can promote the sport, so that people who have been resistant to martial arts can understand my passion for it, and hopefully be willing to try it for themselves, rather than allow preconceived notions and stereotypes to inhibit them. I Simply Enjoyed The Training. To keep in shape - well I may not compete anymore, but I still train like a maniac. [ Q ] Describe an average day for you. A: My days are pretty much the same. I wake up, do my stretching, then I have my breakfast. Afterward, I head to the park with my wife Renee and my dog Duxe for one hour. Then my wife and I go to the gym. I train clients at the gym as well, when I&apos;m not holding my USA Mixed Martial Arts Camp. At home, I relax and work on my computer. [ Q ] Describe your training program and diet. A: I train seven days a week, incorporating weight training, martial arts, stretching and cardio. Sunday: Shoulders and Arms/30 minutes stationary bike for cardio/Stretching. Meal 1: 6 egg whites, 1 cup of oatmeal, 1 cup of fruits, some nuts. Meal 2: 1 muscle milk RTD. Meal 3: Ground turkey, 1 yam,1 fruit. Meal 4: 1 muscle milk RTD. Meal 5: 6 egg whites, a big salad. Meal 6: 1 scoop of whey protein. [ Q ] You have been featured on over 20 magazine covers. What is it about your look publishers like? A: I think people like to work with me because I&apos;m a cool guy, very easy to work with. I never complain. But one of the main reasons is because I&apos;m in shape 24/7/365. They can call me anytime and I&apos;m ready to shoot. I maintain the same condition year round, so I don&apos;t need several weeks notice to prepare. I&apos;m Easy To Work With. For anyone interested in being featured in magazines, that&apos;s probably the main thing to keep in mind. Get in shape and stay in shape. Not only will you be more likely to get called for photo shoots more often, you&apos;ll feel better about yourself. [ Q ] Tell me more about your MMA camps. A: I created the U.S.A Mixed Martial Arts Camp so that anyone can learn from the world&apos;s best martial artists. Imagine a camp where football players and fans could get instruction from Ben Roethlisberger and Peyton Manning ... the top quarterbacks in the world. That&apos;s what I&apos;ve developed for mixed martial arts with the USA Mixed Martial Arts Camp. Sessions are scheduled throughout the year and are custom designed. All the teachers are pro fighters and the elite in their specific discipline. USA Mixed Martial Art Camp. Learn More. And while top fighters come to the camp to hone their skills, we have programs for all levels, from absolute beginners, to those with some experience, to the most advanced. There&apos;s something for everyone. This is a unique experience and the opportunity of lifetime. [ Q ] What will one who attends your camp learn, and what will the experience be like? A: They will all learn about mixed martial arts, of course, but they will immediately realize the overall benefits of this type of training for the body and mind. And hopefully they&apos;ll develop a genuine interest and continue to incorporate mixed martial arts into their workout schedules. That seems to be the most common effect. People who try mixed martial arts really like them, and wonder how they could have neglected them for so long. [ Q ] What are some key aspects a beginning martial artist should focus on? A: Firstly, if you start later in life, you must be patient. Just know that progress will come in different stages and in varying degrees. But it will definitely come as long as you&apos;re consistent, focused, persistent and work on your conditioning at the gym. Even if you are not at the dojo, keep practicing at home, or in the park. In the early stages, repetition is the key. You have to train your body and mind to function together. Simple, slow and patient. Over time, you will integrate the knowledge and you&apos;ll perform at a high level. Once you know the moves and the feeling so well, you forget about it and simply do them in a free and improvised way. That&apos;s when martial arts become truly fun and rewarding. But you don&apos;t arrive at that stage without a lot of work. [ Q ] You will be teaming up with pro bodybuilder, and personal trainer, Jamo Nezzar. What will your involvement with him entail? A: I&apos;m the Fitness/Mixed Martial Arts director for Jamo&apos;s new online training website, www.jamcoretraining.com. I&apos;ve been friends with Jamo for several years and now we&apos;re collaborating a completely new and innovative concept in personal training. The entire site will have instructional video workouts that members can watch and learn from. I will be featured in the workouts specific to mixed martial arts and fitness training. There are several other expert trainers featured on the site, covering all areas of training. [ Q ] What do you hope to achieve during your time working with Jamo? A: The site is much more than what I&apos;ve just described. But I&apos;d say I hope to increase the awareness and appreciation for mixed martial arts, so that people will see it as a way to enhance their conditioning, not so separate from weight training, stretching or cardio. Through the jamcoretraining.com Website, our goal is to empower and educate anyone and everyone, so they can lern from the best and experience the benefits for that instruction regardless of where they live or their schedule. The site is always available - whenever you want to utilize it. Even the greatest personal trainer in the world doesn&apos;t offer that type of service and flexibility. 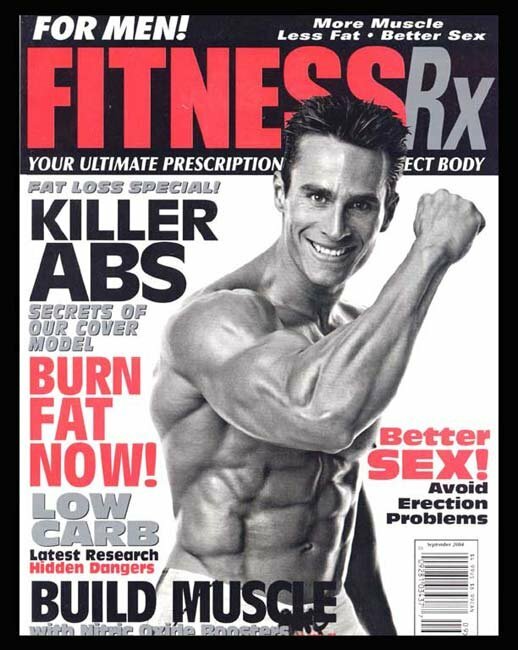 [ Q ] What kind of qualities do you have, which will ensure the readers of bodybuilding.com benefit from your advice and insights? A: It&apos;s difficult to explain why people should listen to me, without sounding arrogant or obnoxious. Simply, I have experience and skill, so I do know what I&apos;m talking about. But more importantly, I&apos;m a straightforward and honest person. I&apos;m A Straightforward & Honest Person. I&apos;m dedicated, disciplined, driven, personable and humble, though I do see the irony in self-proclaimed humility ... LOL. Basically I&apos;ve made a lot of progress through hard work and a lot of trial and error. Because of this I can help others progress rapidly and effectively in their training, while enjoying it in a way they didn&apos;t imagine possible. [ Q ] What will you contribute specifically to the Jamcore site? A: I&apos;m fitness/martial arts director of the site, but in addition to that I bring a new method for weight training. In my 15 years of intensive training, I&apos;ve acquired a great deal of knowledge, through study, as well as trial and error. In this time I&apos;ve discovered some crucial information on how to make the fastest progress possible. Along with Jamo, I&apos;ve devised a system that maximizes improvement in speed, strength and balance. The entire approach is easily adapted to all sports, including soccer, track and field - anything really. Of course, my specialty is martial arts, so for now, that&apos;s what I emphasize most. [ Q ] Describe the Jamcore philosophy. A: Simply stated, to empower anyone and everyone to believe they can achieve their physical goals, despite how modest or lofty. To educate, inform and entertain people, not only with our knowledge, but with our delivery. Basically the Jamcore philosophy is summed up as: making fitness fun, productive and an essential part of people&apos;s lives, without causing them to become 1-dimensional. I could go on, but that&apos;s the basic idea. [ Q ] What do you hope to achieve during your involvement with Jamcore? A: I would like to become a role model and inspire others. I came to the U.S. with 400 dollars and two bags. That&apos;s it. I didn&apos;t know anybody, yet step by step I&apos;m making a name for myself in the fitness industry. I would like to motivate people and show them, no matter what your dreams, if you believe in yourself, anything is possible. If you work hard at your passion, there is no way you won&apos;t make it. Success can be reality, regardless of your starting point. I&apos;m living proof. If I can do it, the possibility exists for everyone. for all her support and for believing in me."